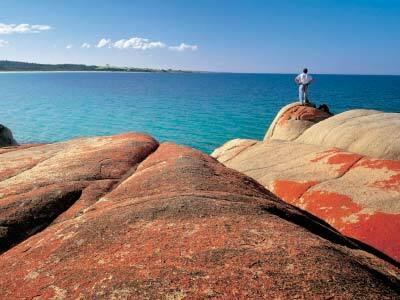 So named by Captain Tobias Furneaux in 1773 because of numerous fires of the Aboriginal people along the coast, the Bay of Fires extends from Binalong Bay to Eddystone Point. With one of the most stunning seascapes in Tasmania, the combination of white beaches, orange-hued granite rocks and turquoise-coloured ocean is simply jaw-dropping scenery. Get your camera ready for a photographic workout!